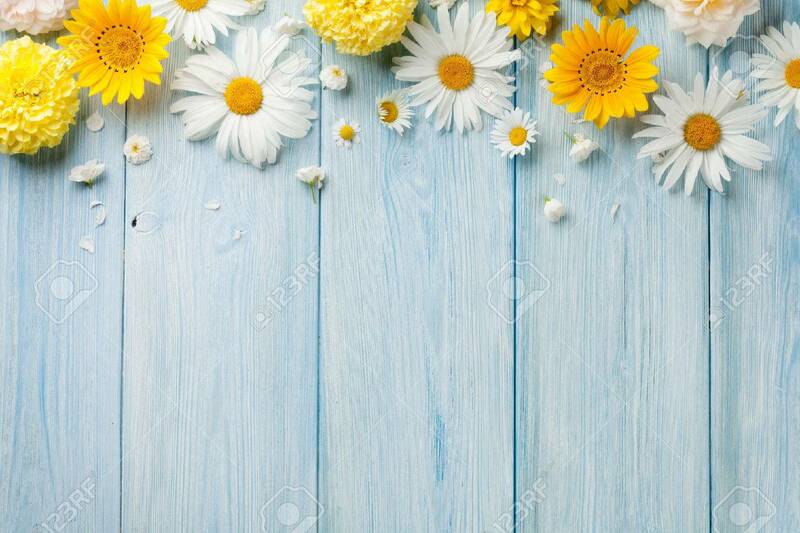 Garden Flowers Over Blue Wooden Table Background. Backdrop With.. Stock Photo, Picture And Royalty Free Image. Image 60454949.